- Harold Hill on fsaof.blogspot. com - "Can the vision be re-found? Yes! But it will look different. The alternation of renewal and decline as the context within which we have attempted to place our visionary theme reminds us that entropy and dissolution are not the whole story. 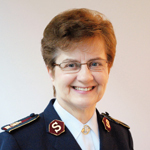 In the Salvationist micro-climate, we may occasionally have our equivalent of what in the Catholic Church Karl Rahner called a “winter period”, and we may regret the repetitive pattern of institutionalisation and decline, but we can rejoice also in the reiterated springtime which, God-willing, ensues. May the Holy Spirit give renewed vision for our times." 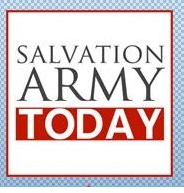 The Salvation Army emerged in the late 19th century as the latest body of Enthusiasts, those Max Weber called the virtuosi, the dazzlingly skilled, the spiritual athletes. The Army was widely recognised as a de facto new religious order within the church. "Historically, once these movements cease to be prophetic, though in Church law they may remain religious congregations, they are no longer authentically religious. By sinking to the level of purely human institutions they have lost their reason for being."